Krishna DCCB Recruitment 2018 Notification: Krishna District Co-operative Central Bank Limited Machilipatnam is back with the latest recruitment notification for 50 Staff Assistant/Clerk Vacant Positions. Applicants who are eagerly waiting for the Staff Assistant or Clerk Jobs in Krishna DCCB can apply for these posts from here. So willing aspirants can check this page before going to apply so that they can get the eligibility details. This page is going to provide you the complete information for the Krishna DCCB Recruitment 2018 as per official recruitment notification. The candidates who are going to apply for the Krishna DCCB Openings 2018 must check the given educational qualification to proceed further. As per Advt aspirants with the Graduation from a recognized University & Knowledge of English and proficiency in local language (Telugu) as the qualification are eligible to apply for these posts. While the age limit of the candidate is 18 years and maximum age limit is should not exceed 30 years. The officials of the Krishna District Co-operative Central Bank Limited Machilipatnam is asking the candidates who are willing to apply they must submit the online application form before the closing date through online mode. And in any other mode officials will not accept the application form from the aspirants. Already some the job seekers had applied for this recruitment and looking for the study material on the internet. One advice to the applicants visit our page regularly to get more updated information about the Krishna DCCB Recruitment 2018 Notification. Check the official web portal of the Krishna District Co-operative Central Bank Limited Machilipatnam i.e., www.krishnadccb.com on the frequent basis to get details regarding this Openings 2018. Willing aspirants also check the syllabus and previous papers for the Krishna DCCB Recruitment 2018. Job Location AP State, Machilipatnam. As per Advt aspirants with the Graduation from a recognized University & Knowledge of English and proficiency in local language (Telugu) as the qualification are eligible to apply for these posts. The minimum age limit for the applicants is 18 years and maximum age limit is should not exceed 30 years. For age relaxation and other details check the official recruitment notification available on this page. Aspirants those who got selected for the Staff Assistant/Clerk Posts they will get the monthly payment as per rules of the organization as given below. Applicants should pay the application/examination fee of Rs. 600/- for OC/BC Category Candidates (application fee + bank charges). For SC/ST/PC/EXS aspirants must pay the Rs. 350/- bank charges through Online Payment to complete the registration process. Applicants should pay the application/examination fee of Rs. 550/- for OC/BC Category Candidates (application fee + bank charges). For SC/ST/PC/EXS aspirants must pay the Rs. 300/- bank charges through Online Payment to complete the registration process. Candidates who had applied for the Krishna DCCB Recruitment 2018 they will undergo for an Online Written Examination followed by Interview which is conducted by the officials of the Krishna DCCB. 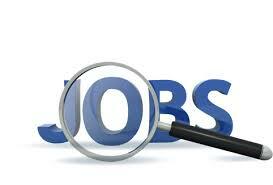 Job applicants can make a note that you have to carry the admit card at the time of the examination. The final decision will be officials of the WBCSC. First of all willing aspirant visit official website www.krishnadccb.com. Search for the Krishna DCCB Recruitment 2018 Notification in the career section.